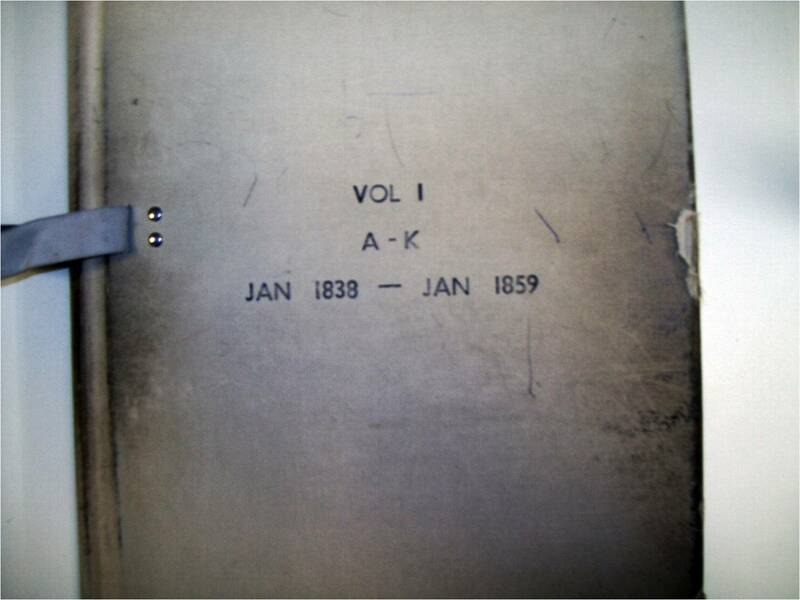 My original blog on researching Victorian Land Memorials [old General Law titles] was posted back in February 2011. 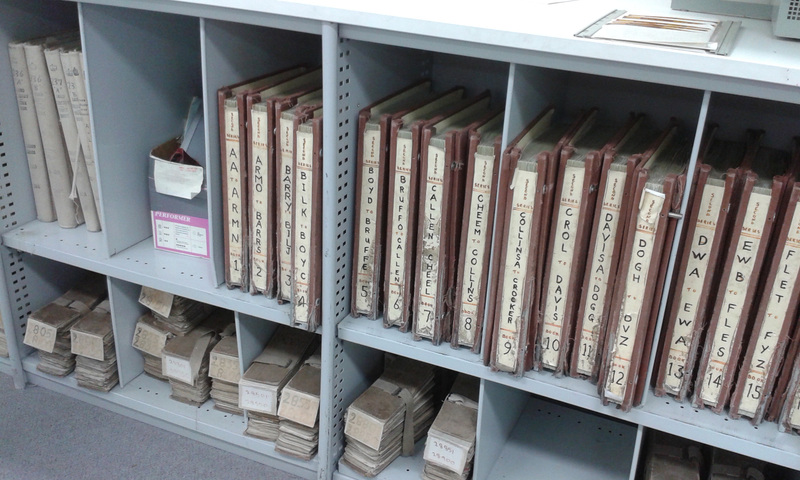 Since then the Land Memorial registers have been moved to Land Victoria, Land Information Centre Archive at Laverton. 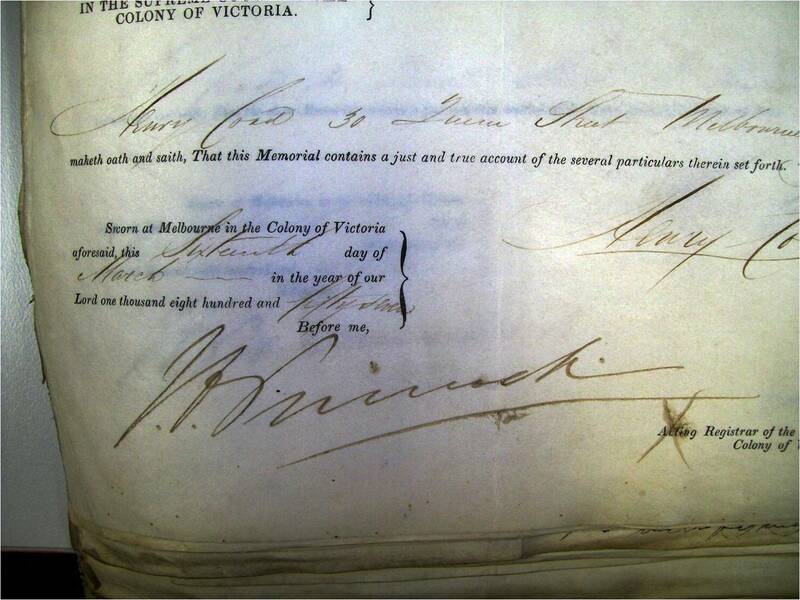 The Memorial registers have been joined by the Application Files, so it’s appropriate to not only update the method for finding a Victorian Land Memorial, but also include the Application Files. This blog will guide you through the steps to find a Victorian Land Memorial as well as an Application File – follow these steps carefully as there is NO-ONE at Laverton who can help you. Most importantly, don’t ask the other researchers in the library – many will be professional land searchers and to them, time is money. It is NOT their job to help you, so you must do your homework in advance and understand what you’re doing there. 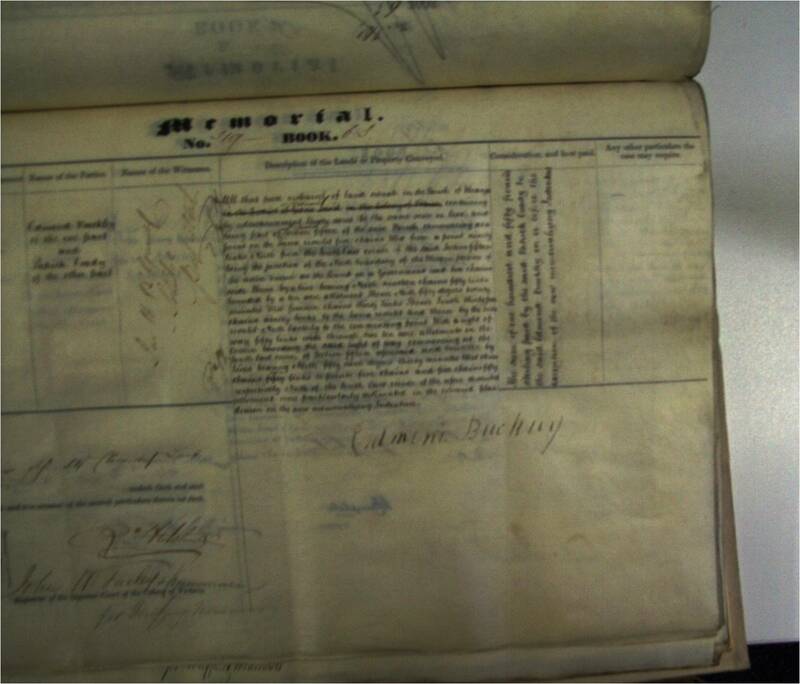 Of course there is no guarantee that you will find a Memorial or Application file for YOUR ancestor, but if it’s there, this guide should help you find it. CHECK THE OFFICIAL WEBSITE for current details. 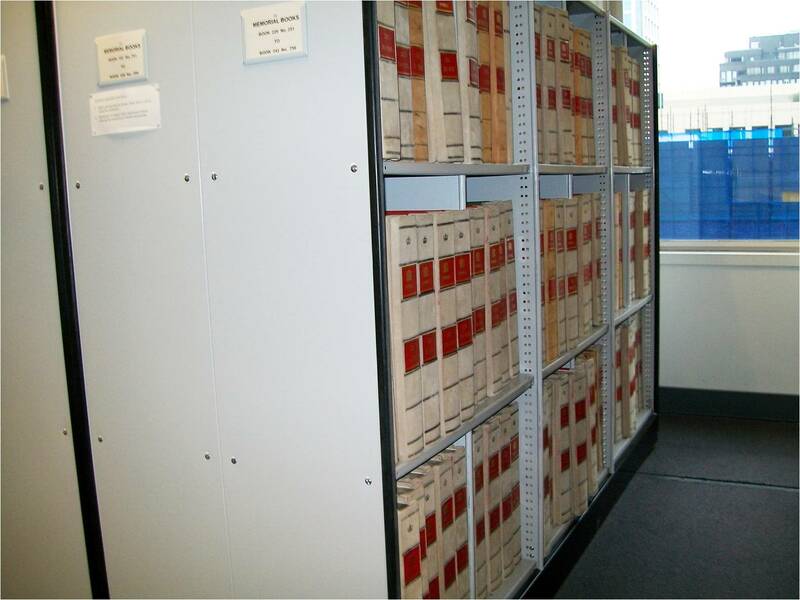 ACCESS to General Law Library at Laverton – click on the image above right to view details. Driveway access to Land Information Centre at 57 Cherry Lane, Laverton. Report to the Reception desk – the entrance to the left of pathway off the parking area. There you will sign in and be given an access pass and directions to the General Law Library. Back out through the doors to the Reception area and follow the path to the left. Through two sets of double glass doors and the General Law Library is immediately on your right. Before going to the library, particularly if you’ve had a long trip, the Ladies and Gents are further down the corridor on your left. You will need your access pass on the card sensor to open the double doors for the General Law Library. Important: when you leave, you need to press the exit button on the wall at the right of these doors. Once through the double doors the General Law Library is through the doorway on the left. DO NOT use pens / biros – use pencils only. YOU MAY use your camera – avoid using your flash. YOU MAY use the photocopier provided at the end of the room. SHARE your time using things like the photocopier with other researchers. There is no charge for photocopying but do NOT abuse this privilege. SHARE your desktop space with other researchers. SHARE your space with other researchers – don’t be too loud. TAKE CARE handling documents / registers – these are original records and any damage you cause will impact all future researchers. DO NOT ask other researchers for help – they are doing their own research and may be on paid jobs – your interruption will cost them money! RESPECT your fellow and future researchers. 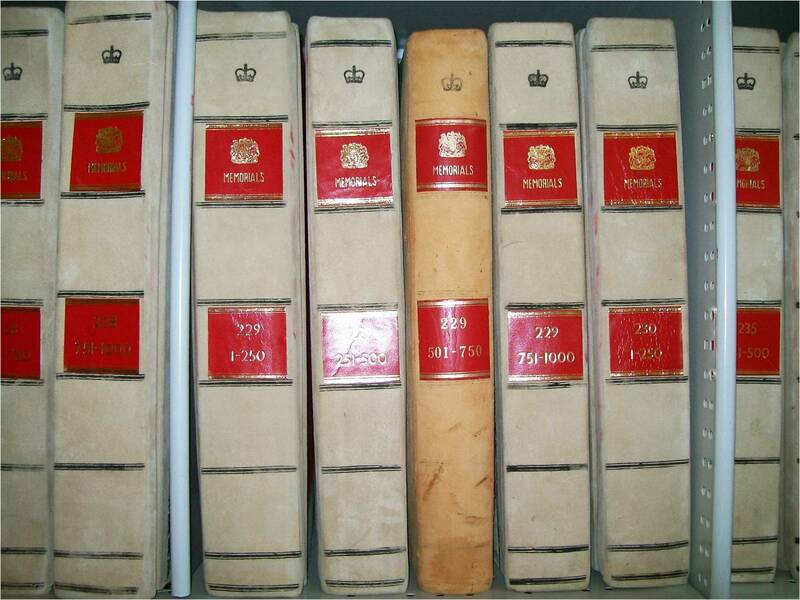 Bound Memorials of the conveyance (or lease or other Instrument) of land under the General or Old Law, relating to land granted by the Crown between 1838 and 1862. 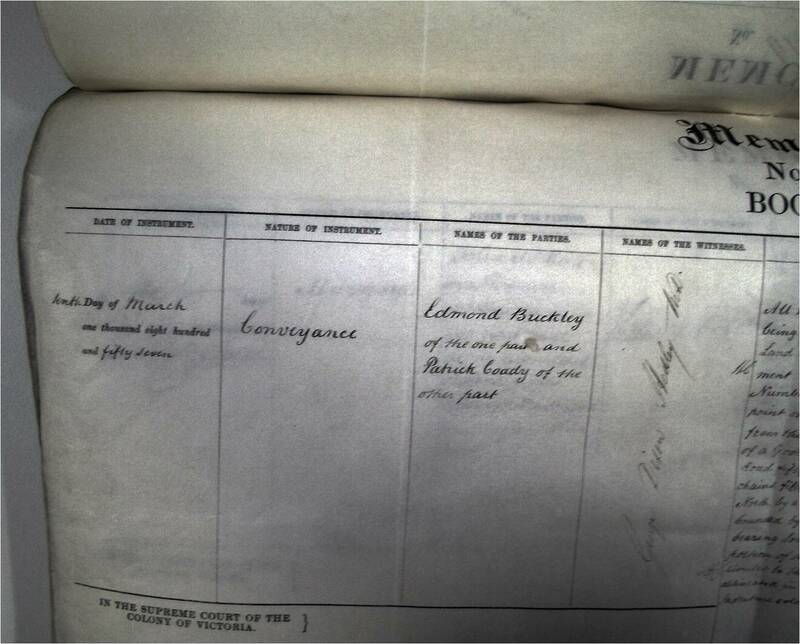 The Torrens System of land registration was introduced on 2 October 1862. Sundry card files / indexes. 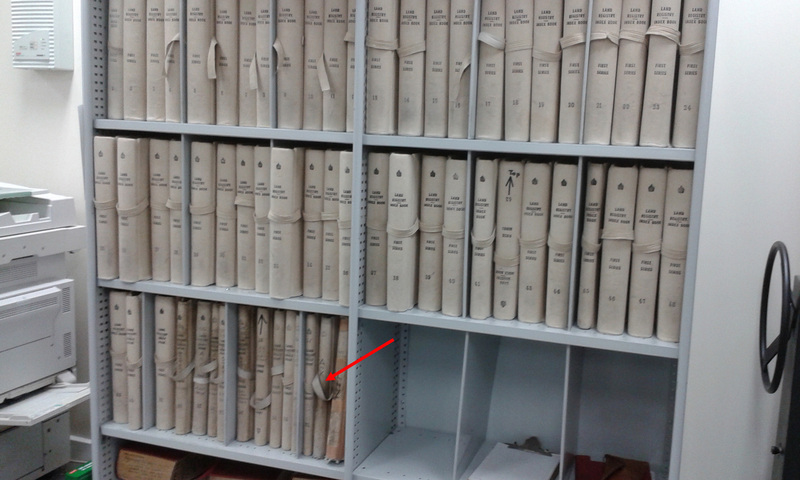 Bottom shelves on left wall, bottom shelves on both sides of cabinets in centre of room, and compactus on the right near the entrance door – Application Files [Examiner] in numerical order. BEWARE – you will need to get on the floor to check the bottom shelves of the cabinets in the centre of the room – these are often two deep and you won’t find the second row if you’re standing up! Make sure you understand what you’re researching – a good starting point for background reading. 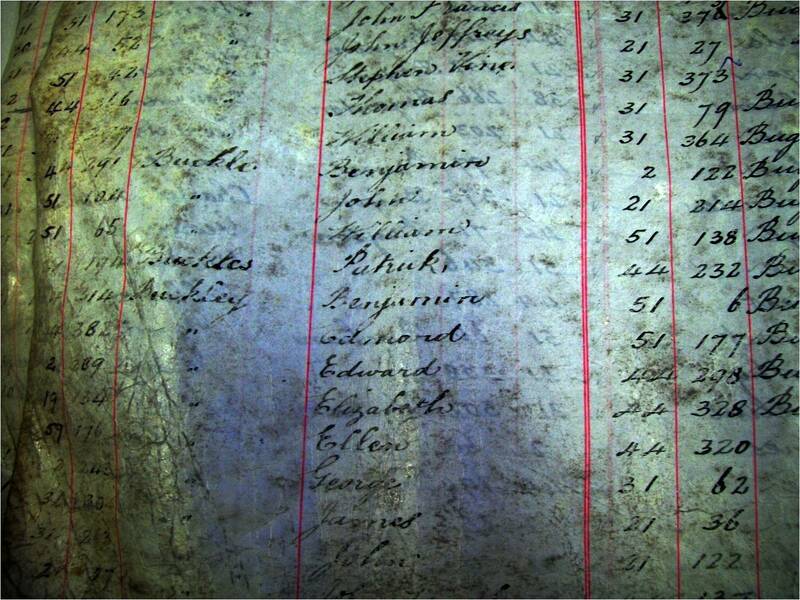 Be familiar with the County, Parish, Section, Allotment details and associated names – don’t work on the wrong records by not knowing WHAT and WHERE you should be looking! Application File number – have your Application File number(s) with you. There are two sets – one produced by the Clerk and the second by the Examiner. A Certificate of Title could be created based on the results of the latter. It is worth checking / copying both sets as there may be variations – remember that it is the Application File created by the Examiner that will enable a Certificate of Title to be created. You will also find some handwriting easier to read than others! Application Files are stored numerically so are easy to locate. Take the bundle to the cabinet tops to undo the cloth tape and clip, ensuring that you don’t mess up the order of the files or damage them. Make sure you carefully do up the bundle when you’re finished – ensuring that the bundle number range is clearly displayed. Be careful that you replace the bundle in the correct location. 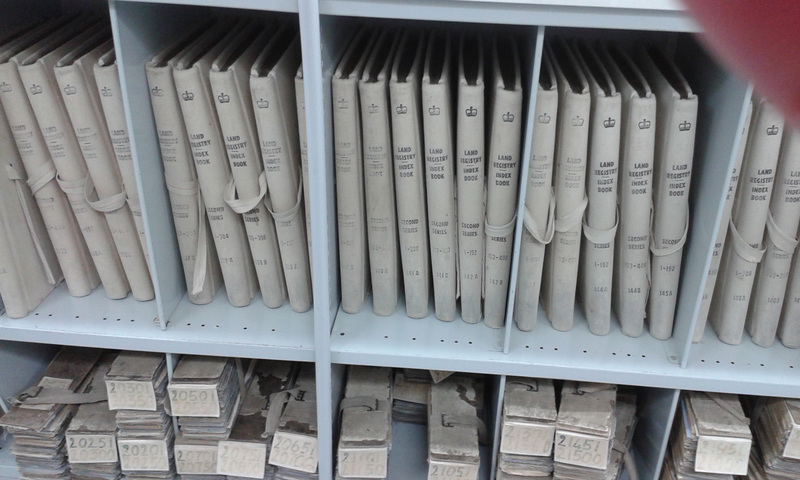 Remember to check the second row of bundles in the Examiner group of files. Certificates of Title – trace back through Certificates of Title, identifying the Parent of each. The Parent Title will generally be found at the top of the second page. It will be a Volume and Folio [Certificate of Title] number until you reach the FIRST Title, then it will be an Application Number. This method is following the Land ownership back in time. Register of Applications for Certificates of Title using the Index of Applications for Certificate of Title at PROV [Public Record Office Victoria] – VPRS 405, VPRS 16705 and VPRS 460. This method is identifying the owner of the land when it was transferred from Old Title to New. The search is in three stages. Our example is a search for Edmond BUCKLEY who had land interests on the coast near Cobden in the 1850s, hence we will search the First Series. SECOND SERIES: covers later years with some overlap. The above guide was valid as at Tuesday 28 October 2014 – you should always check that procedures and/or rules have not changed in the meantime. Information should be available from Land Victoria / Land Information Centre. 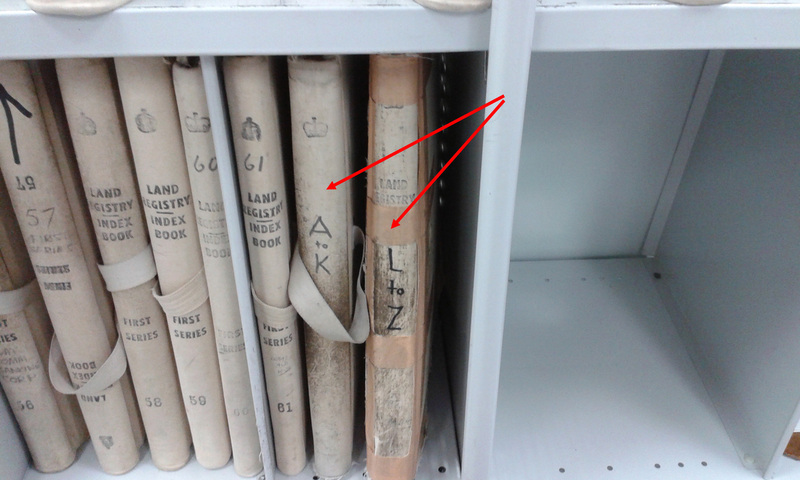 The contents of this Blog cannot be blamed on Land Victoria – it was compiled and published by a private individual to assist other researchers looking for items in the General Law Library, Laverton. Next Melbourne Cup Day – Research in Geelong! ‘Tis a pleasure – we had fun investigating! Most timely Susie. My understanding is that the Application Files for those properties currelnty held under old titles are in the office and not in the Library. Is this still the case do you know? Sorry I’m confused – Application Files are for properties moved from Old Title to New Title – that’s why they are called Application Files. Which ones are you referring to? I was told by someone at Land Data today by phone that I would have to employ a general law researcher to search for a general law title owned by my family because I wouldn’t be allowed to access the records in the library. Is that incorrect or has something changed recently? Hello Peter – I guess a lot depends on who the “someone” was – I suggest you follow the link above for the link to the current web site which includes opening hours and phone number for Laverton. BUT, you must know exactly what you’re looking for and how to find it as there is no-one to assist in the General Law Library. 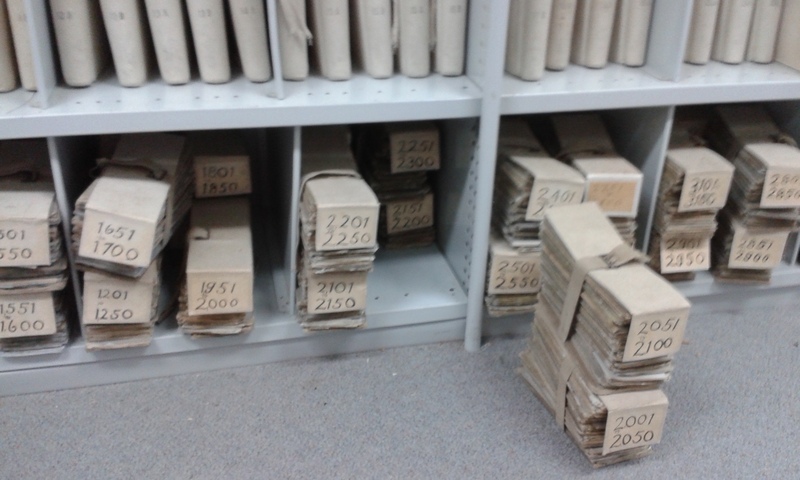 These are all OLD law records. Thanks, I’ll give it a go. I have a couple of Torrens titles that were converted from old general law titles via an application that I know the number of. I guess the application number is where I’ll start. Once I find the application file will that point me to the old law title? Hi Peter, That’s exactly why they don’t encourage people to go to the Old Law Library – if you don’t know exactly what you’re doing there is no point. It takes years to understand and learn how to follow land records. Old Law Title? That is not a normal term. But Peter, an Application File would never “point … to the old law title” – it would point to many, many memorials. 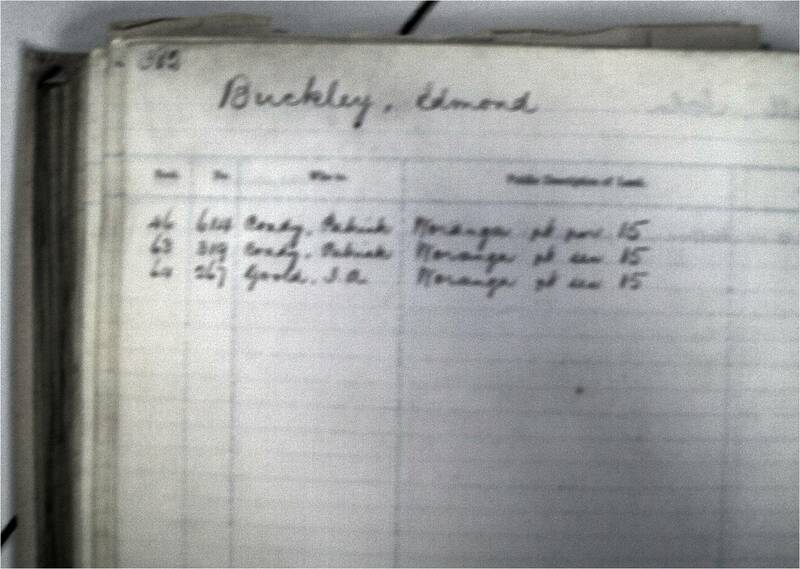 Edmond Buckley is my Great Great Grandfather. Interesting to see where his name comes up in my family history research.